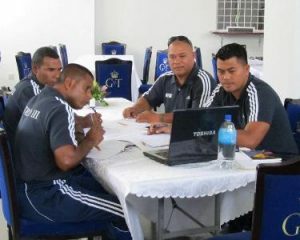 TongaFootball > News > Referee > Call forTevita Makasini, FIFA Assistant Referee for the FIFA U 20 World Cup! 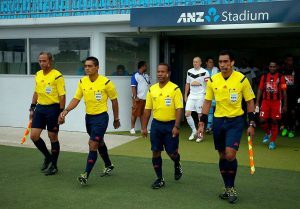 Tevita Makasini has been appointed to join few FIFA Assistant referees into the Korea Republic to officiate in the FIFA U 20 World Cup from the 20th May to 11th June, 2017. Makasini expressed his gratitude and grateful for his appointment and he is so looking forward for this tournament. He also doing extra training with regards to maintain his fitness. ‘’I could not remember how many tournaments that I was appointed to, but I am thankful that I still have a call,’’ Makasini says. ‘’When I received my appointment, I definitely go out and do my best, because I believe when I do my best I will have another chance for the next tournament. However, I made sacrifice in order for me to improve also to maintain my fitness,’’ he says. ‘’I always prayed and asked God to give me the strength, and I knew I was blessed. I also worked so hard to improve my performance and to gain more confidence so I can perform well during the world cup,’’ Makasini added. 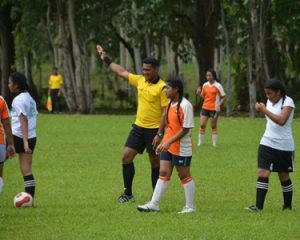 ‘’I may grab this opportunity to invite youth of Tonga to come out and try out football refereeing. It is a great challenge and it will lead you to a great career in the future,’’ Makasini stress out. Makasini started her career as a football referee in 2006 with few Oceania Football tournaments before his name appeared in the FIFA list in 2007. He had appointed to FIFA World Cup in South Africa in 2010, also been to two Olympics games, Beijing Games 2008 and again to Rio de Janeiro last year. He was also appointed to three FIFA Clubs World Cup in 2010, 2014. and 2015, Makasini also appointed to FIFA U 17 World Cup in Nigeria and to UAE in 2015. This is his second time to officiate in the FIFA U 20 World Cup and his first appointment was in New Zealand in 2015. 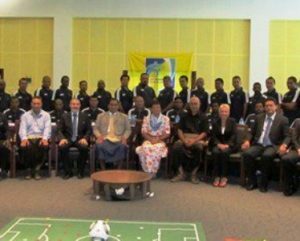 With all his appointments by FIFA, he also called from OFC to officiate in most Oceania Football tournaments. 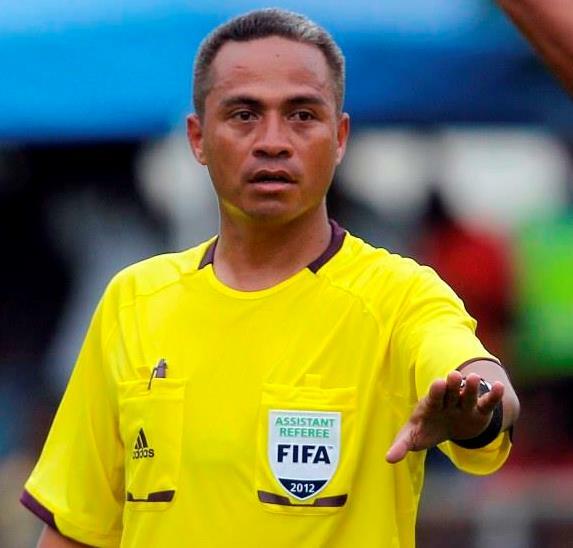 He was recently officiate in few games during the 2017 OFC Champions League. ‘’May I take this opportunity to wish Tevita Makasini the very best on his appointment and I’m sure you will do your best at this FIFA U 20 World Cup, and don’t forget you are an ambassador of Tonga in Korea,’’ Vea added. The Sky is the Limit, good luck, and enjoy the FIFA U 20 World Cup. Previous Post Lutu became a little shining star! Next PostGear Up Futsal Referees! FUTURO III concludes in high note.